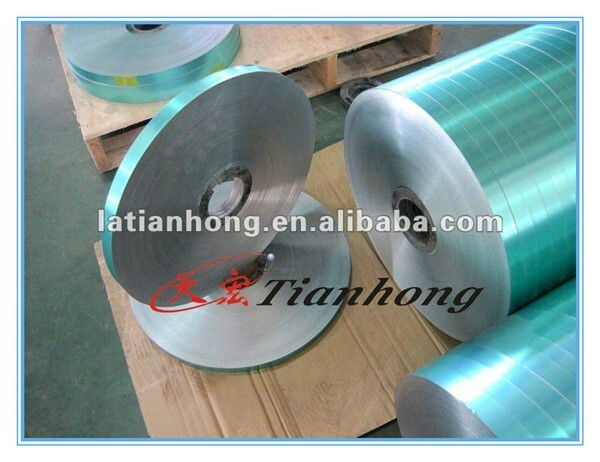 Note:Welcome to custom orders of foils with different thickness ,length and width. 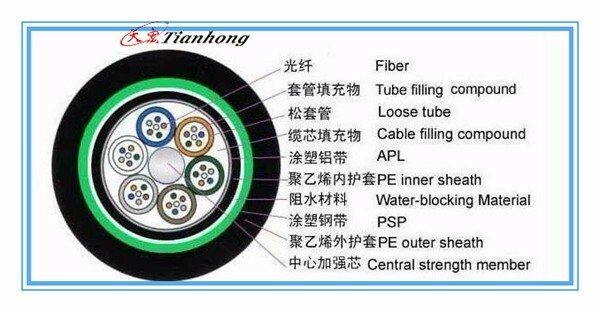 1.Mainly used on coaxial cables, signal cables, control cables,power cables and fiber optical cables, instrumentation cables, LAN cables, data communication cables, and most of the other communication cables. 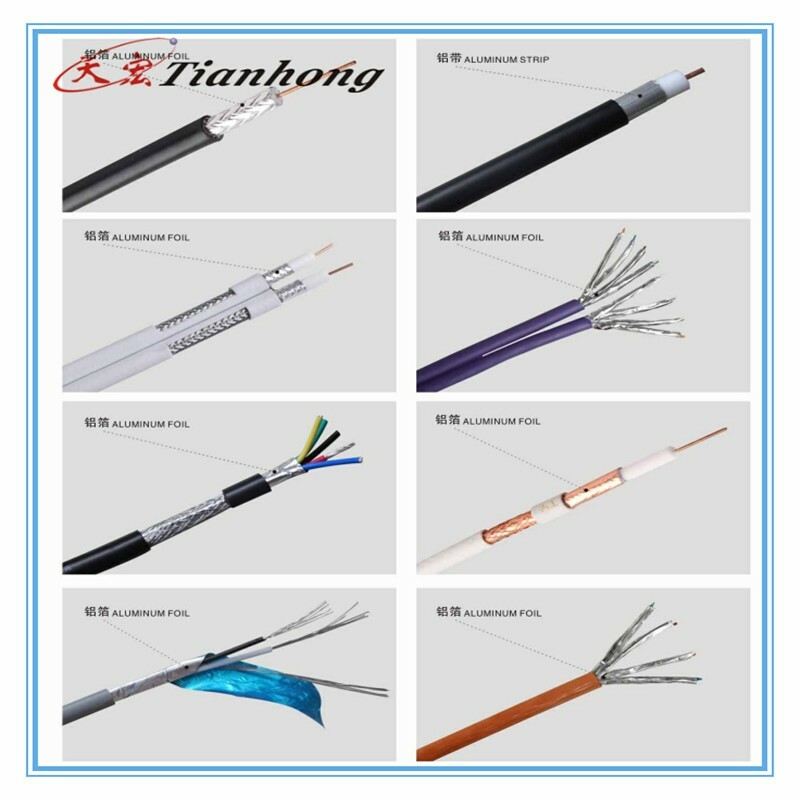 2.For wire cables as insulation and shield material:SATA,VGA,DVI,HDMI,USB etc. 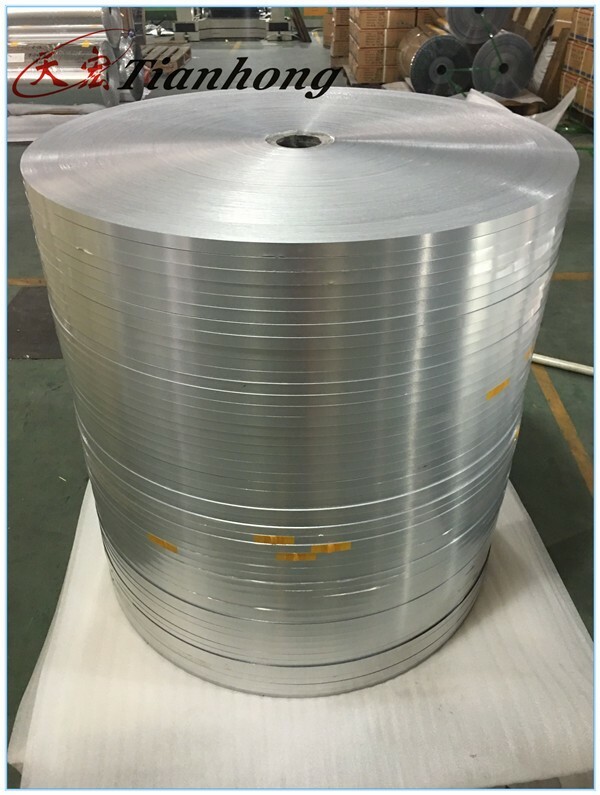 with strong tensile and high rate elongation at break. 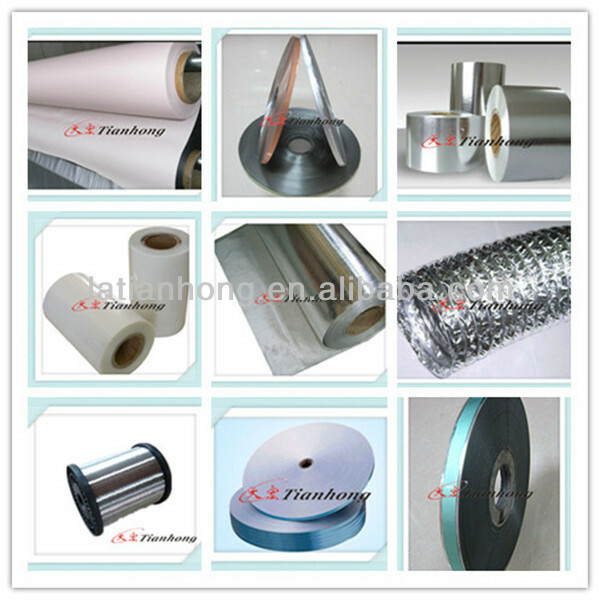 4.For printing and packaging & wrapping. 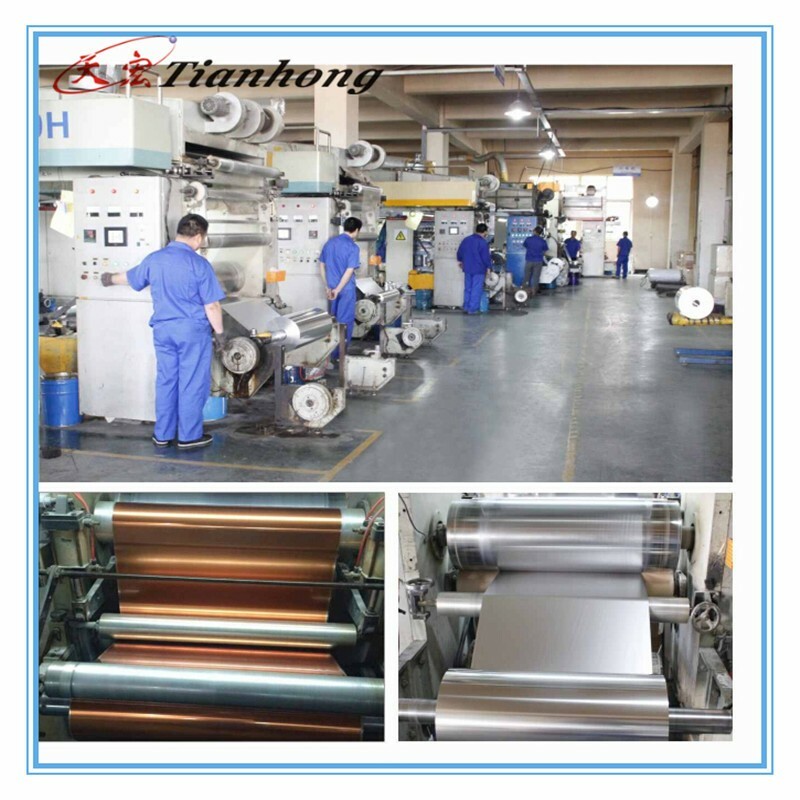 5.PET film provides electrical insulation and high mechanical strength. 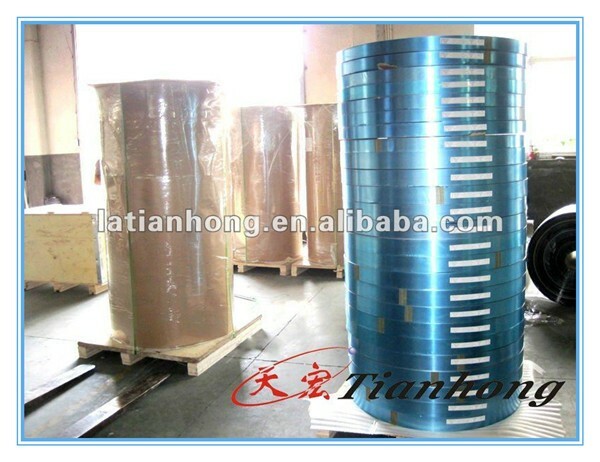 1.We have the best teams for pre-sale and after-sale. 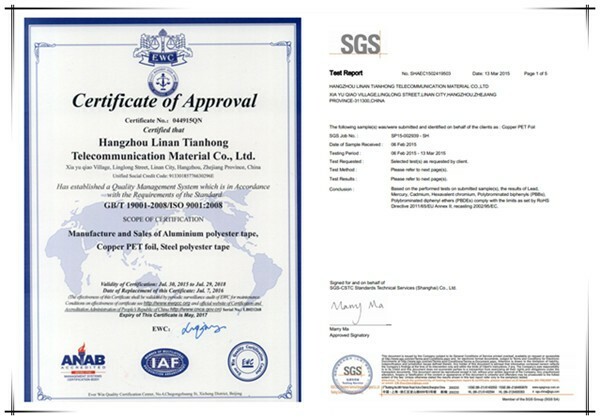 3.Our product is very stable quality. 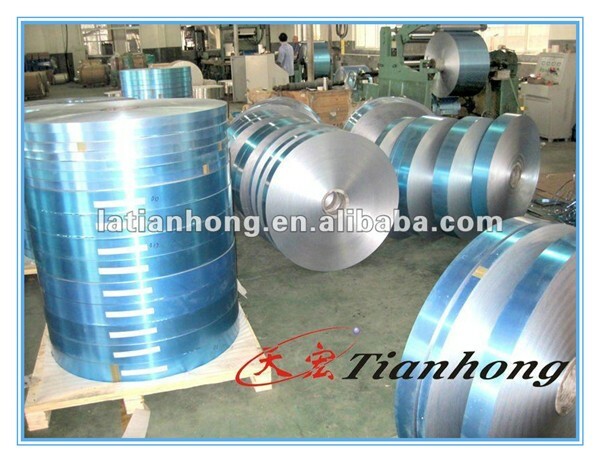 4.Our price is very competitive in industry. 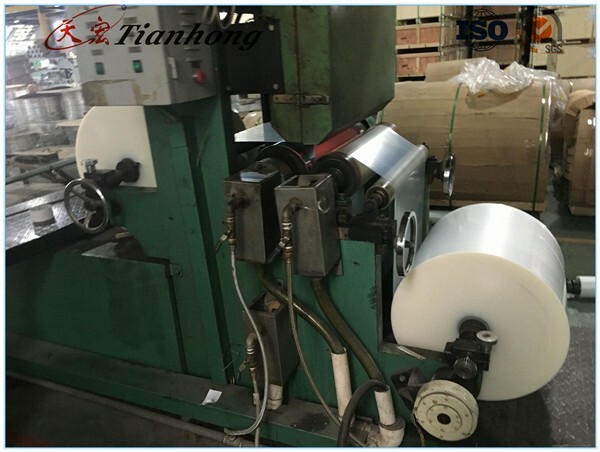 So,It is very good choice that you choose our factory. 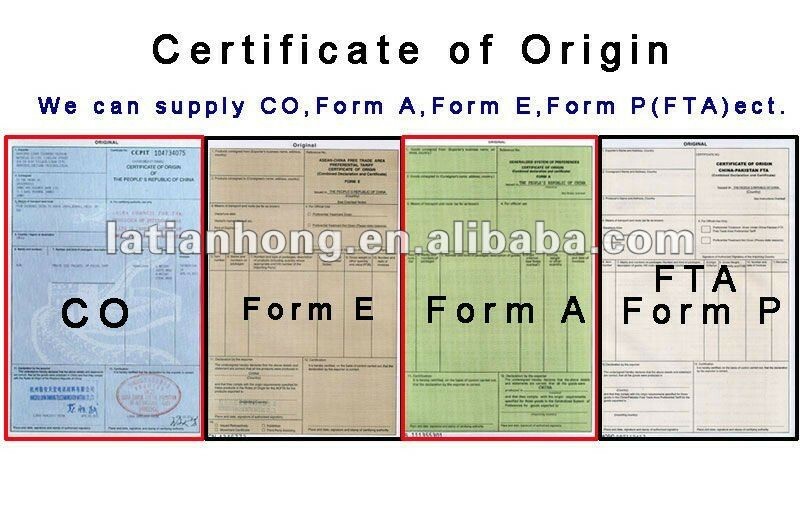 Look forward to your inquiry and we will give you professional reply at 2 hours! 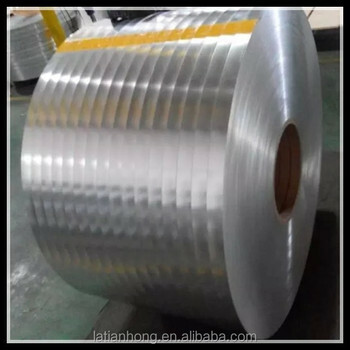 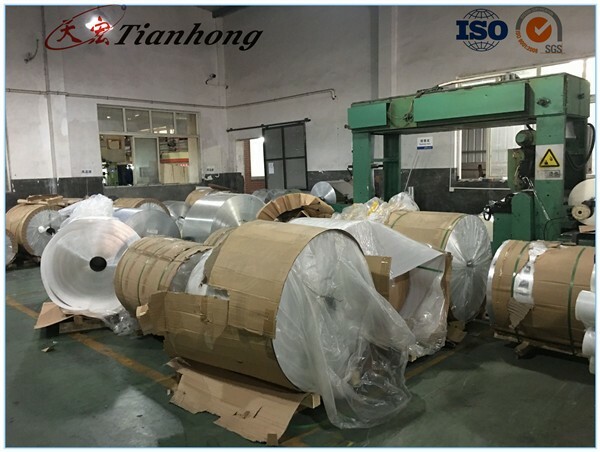 1.Our company is founded in 2000,located in Linan,China,is one of the leading manufacturers of Aluminium Foils,Aluminium Mylar Tapes,PET Tapes and PVC Tapes etc.,widely used on the cable shieldings,Flexible Air Ducts,Construction,Packagings,Oil and Gas Pipes etc. 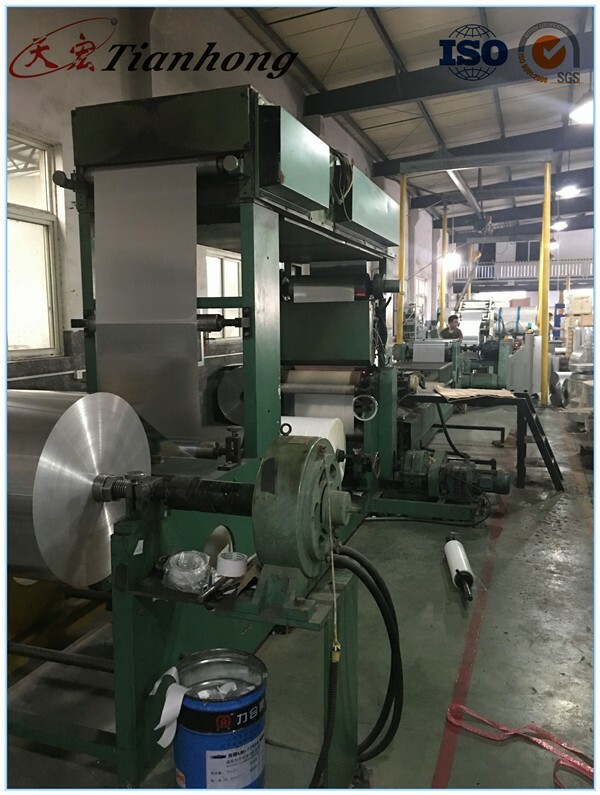 2.We have advanced Equipments imported from Germany.and Now our production capacity per month is around 600Tons(7200Tons per year) with more 10 production lines, we can offer our customers high quality product and the finest service. 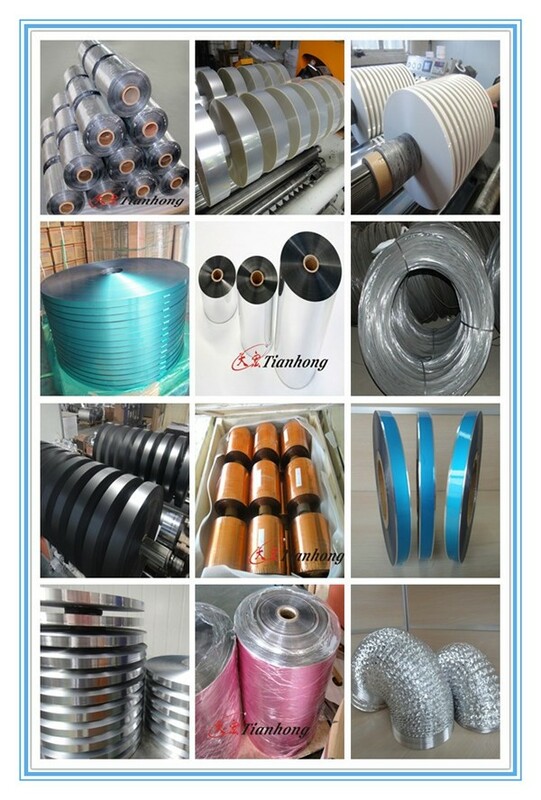 Please feel free to contact with me!